For more than two decades, we have implemented solutions for customers of all sizes. We have a unique combination of a focused company, simple yet powerful product and superior customer service and support, making us the most trusted name in student information and the best choice for districts. Simply defined, we are a software company. More powerfully put, we are the industry’s innovator and have been since our founding more than two decades ago. Continuous product development, award-winning service and support, and 2,000+ loyal customers have made us the most trusted name in student information. Our simple yet powerful SIS supports student learning by ensuring school districts streamline educational processes, promote stakeholder collaboration and personalize learning. Our service organization easily manages implementations, trains new and existing customers, and provides districts with support electronically and via phone. Infinite Campus has embarked on the development of true personalized learning tools. Curriculum management tools, integration with cloud services such as Google Drive and access to digital content from major publishers will further set us apart from the competition. To hire the best talent, stimulate innovation, and encourage imagination, we moved into our facility in a northern suburb of Minneapolis/St. Paul in 2008. To satisfy demand for our software, a nine-story expansion (the Tower) was completed in 2016. As one of the tallest occupied structures in the northern metro, the Tower provides spectacular views of the surrounding area. Connecting the Mothership and Tower is a 10,000 sq. ft. two&dash;story auditorium. The auditorium provides expanded seating for the restaurant and serves as a special event meeting space for up to 800 people. 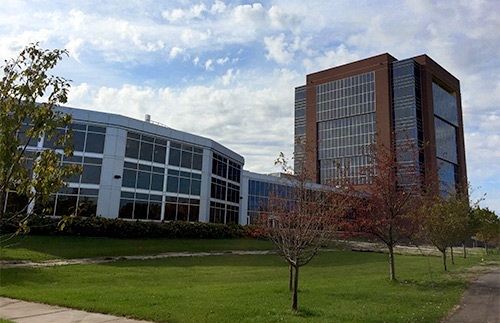 Corporate headquarters located in Blaine, Minn.
Charlie founded Infinite Campus in 1993 and serves as Chief Executive Officer. As Chief Executive Officer, Charlie is responsible for the overall success of the entire organization. He ensures all teams stay focused on developing products that stay true to the goals of Infinite Campus: Streamline Educational Processes, Promote Stakeholder Collaboration and Personalize Learning. He also is committed to the highest levels of industry expertise and customer satisfaction in the areas of training, project management, customer support and technology services. Charlie began his career during high school by working for the Minnesota Educational Computing Consortium (MECC) where he developed software and configured computer labs for local school districts. 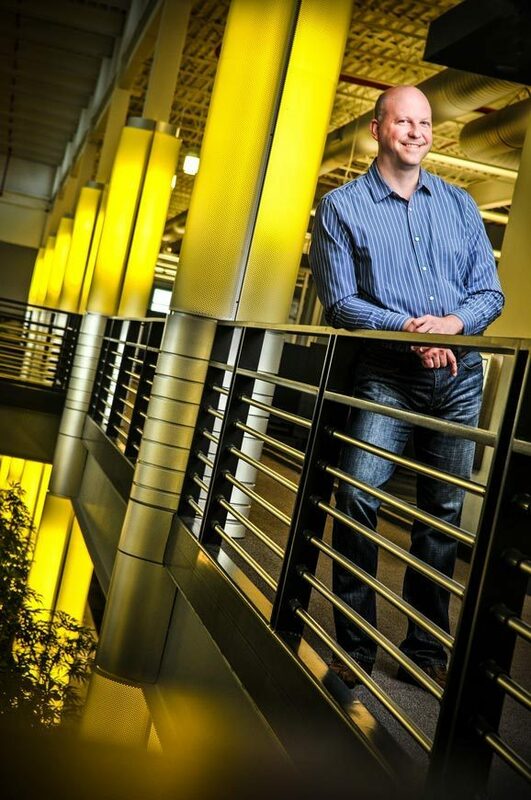 Upon graduation, he bypassed college to become a technology entrepreneur. He founded and sold several companies that developed information systems for the healthcare and telecommunications industries. After a brief retirement, his stepfather, a school principal, challenged him to use his knowledge and experience to help education. Rising to the challenge, Charlie founded Infinite Campus while serving as a district technology director in order to learn about education “from the inside.” As a result, he has spent the better part of the last twenty-five years in schools all over the country and has developed a thorough understanding of public education. 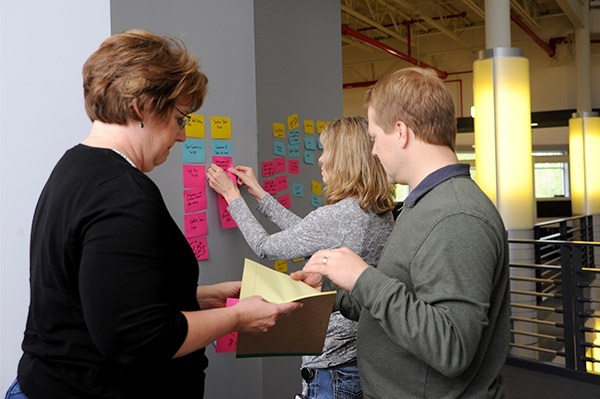 Of our nearly 500 employees, 70+ have direct K12 work experience. We are a passionate group of hardworking people. Every person brings something different to their work. That’s why we like to keep the environment here casual and flexible. If we had to sum up our “culture” it would be this: Infinite Campus is a place where smart, talented people work together with other smart and talented people every day. 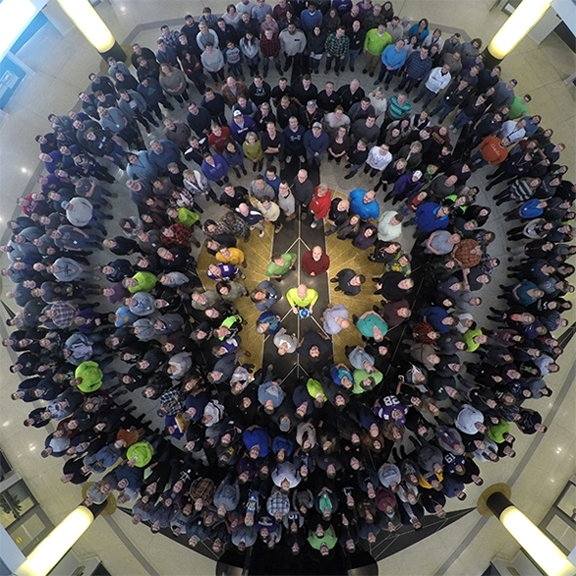 Employees gather in order of the year they began working at Infinite Campus. Interested in Working at Campus? always looking for talented people like you to join our team.